Most students will be notified of their on-campus housing assignment for next year in April instead of February. Students living on campus next fall will have to wait until April to figure out where they’re living. The University will process the “majority” of the general housing applications in April instead of February, Associate Dean of Student Administrative Services and senior adviser Danielle Lico said, to help students who haven’t finalized their living situation for the next year. “This will allow students additional time to clear holds on their accounts, finalize plans for study abroad and determine if they will need on-campus housing for the upcoming year,” Lico said in an email. Lico said South Hall and affinity housing assignments will be released “slightly earlier” than general housing assignments so that seniors who are not assigned to live in South Hall can decide whether or not they want to apply for other on-campus housing. Varun Chandorkar, a sophomore and the Guthridge Hall treasurer in the Residence Hall Association, was part of a small committee that met with Director of GW Housing Programs Seth Weinshel to tackle housing issues this year. Next academic year, students will be required to live on campus through their junior year. The new requirement will bring in $2.8 million to GW each year, but may make it more difficult for seniors to find housing on campus, Residence Hall Association President Mike Massaroli said. District House, the $130 million residence hall that will add 300 beds for sophomores and juniors to the Foggy Bottom Campus, is expected to be completed in the fall. At the same time, the lease on City Hall will expire, which currently houses 360 residents. About 730 juniors and seniors live in Shenkman Hall. Other options for third- and fourth-year students in Foggy Bottom are The Dakota and Mitchell Hall, all of which Massaroli said will largely house juniors next year. 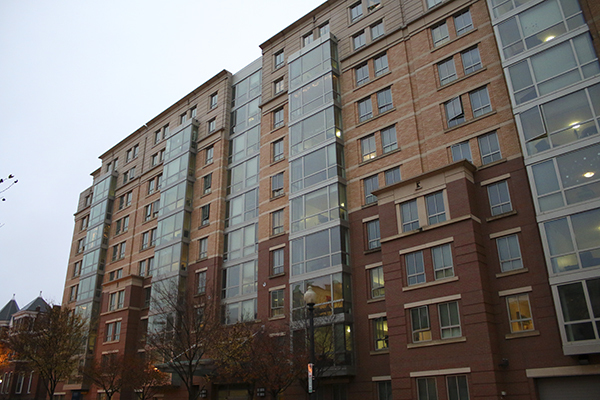 Massaroli said over the summer, GW’s housing office struggled to house at least 10 freshmen, which he said was resolved in part by converting some double-occupancy rooms to triple-occupancies in International House.